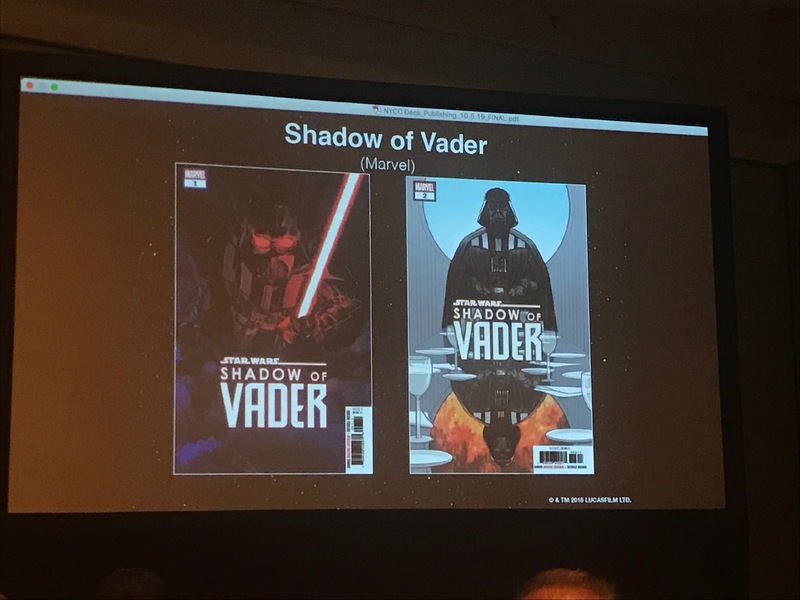 NYCC 2018: Shadow of Vader comic series announced with Chuck Wendig as writer – AiPT! Shadow of Vader puts a different spin on the typical Darth Vader story. Following the heartbreaking announcement that the ongoing Darth Vader series will be ending in December, Disney-Lucasfilm publishing immediately lifted the spirits of Star Wars fans everywhere with the announcement of Shadow of Vader, from veteran Star Wars writer Chuck Wendig. The five-part miniseries kicks-off in January and will examine the various perceptions and perspectives the people of the galaxy far, far away have of Darth Vader. None of these issues will be told from the perspective of the Dark Lord of the Sith. Instead, each issue will be from a different perspective from random characters across all three eras of the Star Wars canon. Some stories, like the third issue that tells the story of a mortician on the Death Star who realizes he’s examining Darth Vader’s victims, will deal with Vader’s actions firsthand while others, like the final issue which follows a young Resistance pilot who’s parents were killed by Vader, deal with the lasting legacy Vader has left on the galaxy. Shadow of Vader launches this January from writer Chuck Wendig with a to be announced artist. How do you feel about this new take on Darth Vader stories? Let us know in the comments below and be sure to stick with AiPT! for all your NYCC news. Hit up the HBO Funko Pop-Up Shop!